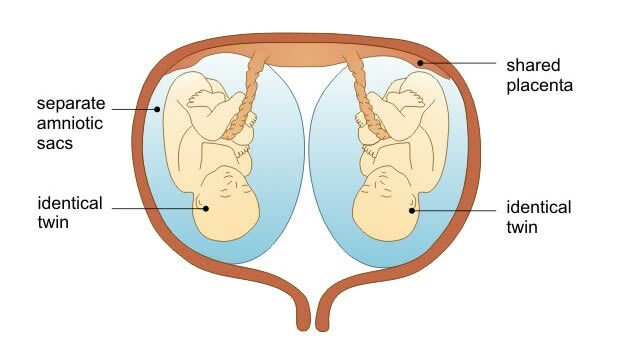 DCDA twins have two placentas and two separate amniotic sacs. These babies usually have different genetic material; approximately 10% will be identical. DCDA twins are usually routinely scanned monthly to assess growth and well being of each baby and for cervical assessment. 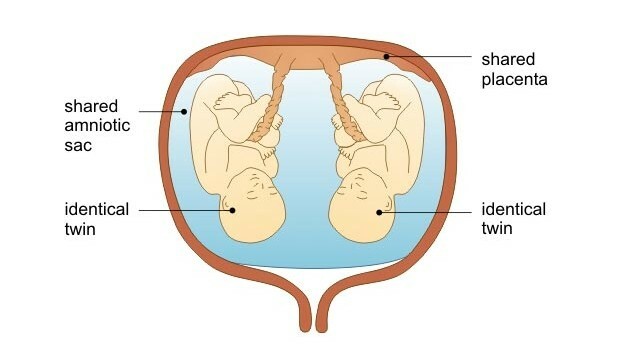 MCDA twins have a single placenta and two separate amniotic sacs. These babies have identical genetic material. MCMA twins have a single placenta and both babies share the same amniotic sac. They also have the same genetic material. Premature delivery. The mean gestational age of delivery for twins is 36 weeks, for triplets is 33 weeks and for quadruplets is 29 weeks. Half of all twin pregnancies will deliver prior to 36 weeks. Ultrasound can be used to monitor cervical length, which is much more accurate than pelvic clinical examination. Cervical length can identify those patients at high risk of premature delivery. Growth restriction of one or both fetuses. Low birth weight less than 2500 g. These infants are at significant risk of short-term and long-term health problems. Greater risk for chromosomal and structural abnormalities. Greater risk of fetal loss. Your doctor will decide how often he or she wants your pregnancy monitored with ultrasound. 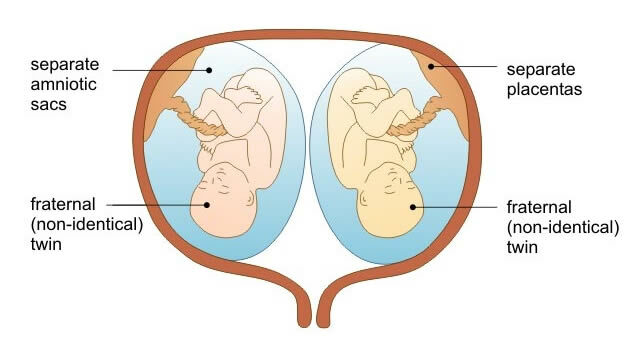 If there is a problem identified in the fetus or with the growth, further investigations may be discussed with you, including prenatal testing such as amniocentesis or CVS.